Updated for the 1.40 Jungle Adventure patch. Also updated the image slightly to include an area of water I missed off the map the first time. 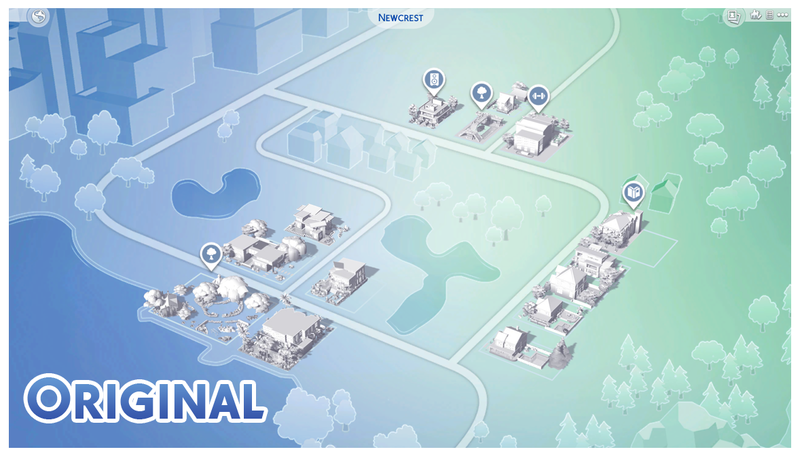 Ever notice how when EA updated the world maps from plain to full colour they also completely altered the layout of the road system in Newcrest? 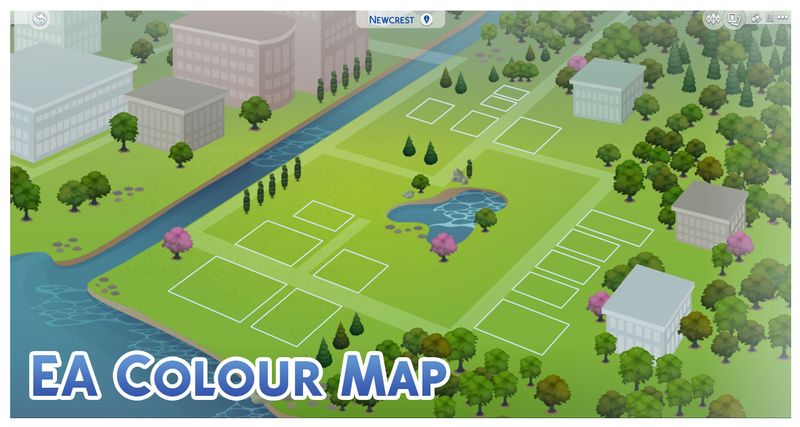 When you compare the original to what we have now you can see there are roads that have been removed entirely, a river has been added that doesn't exist when you're actually in any of the neighbourhoods, buildings have been added on the right where there are none, and the lake appears to have become the sea. 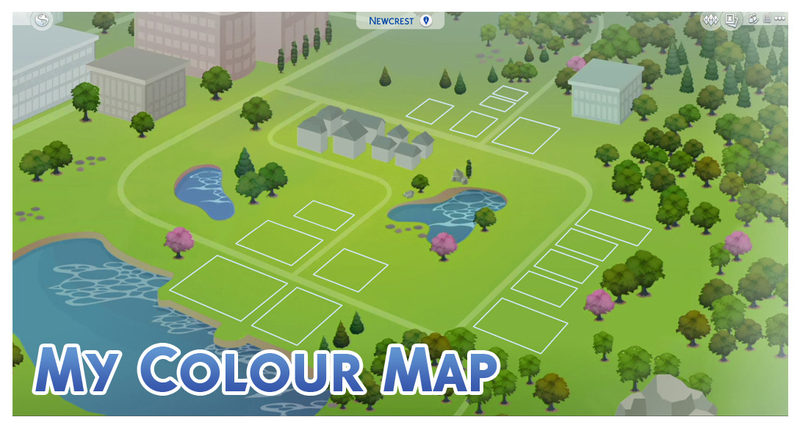 Well, this mod alters the map image to one that is full colour but with the road and feature layout of the original. 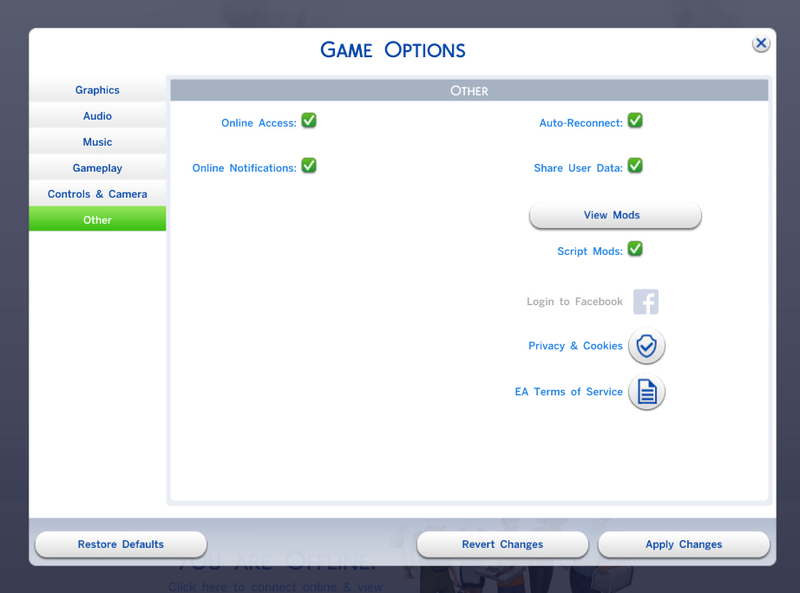 This override has been made possible thanks to the new UITextureSquasher tool created by CmarNYC. The location of the Lots have NOT been altered with this mod. This is purely a texture replacement. 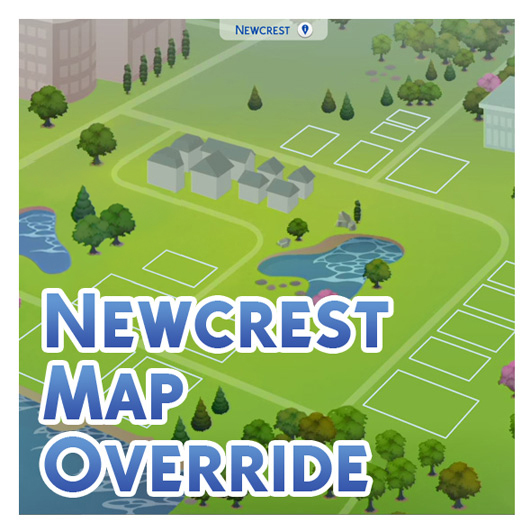 Google (for the image of original Newcrest).